Imagine a society in which a powerless underclass are raised to be slaves, and who are then ruthlessly exterminated when it is deemed they present a possible threat to that society. Sounds like a Nazi state, doesn’t it? In fact, it’s America a few years from now as imagined by Hampton Fincher and David Webb Peoples for Ridley Scott’s seminal sci-fi thriller Blade Runner. The exploited underclass aren’t people but androids called replicants who possess all the physical characteristics of humans but are endowed with superhuman strength to enable them to carry out manual labour in harsh mining colonies on distant planets. 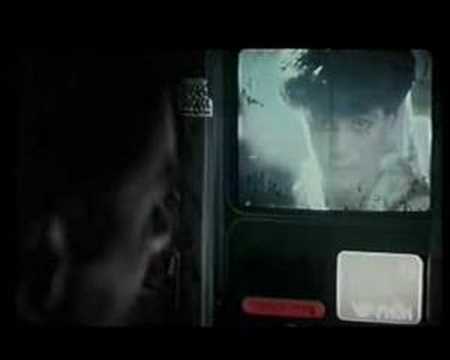 The only certain way of identifying a replicant is by an involved mental capacity test carried out by Blade Runners, a sort of police division whose sole purpose is to capture and kill all replicants who go on the run. Rick Deckard (Harrison Ford) is retired from the force, but pulled back in by his old boss, Bryant (M. Emmett Walsh) when five replicants escape and leave the previous investigator on their case in a coma. Deckard is reluctant, but agrees after interviewing Rachael (Sean Young) at the Tyrell Corporation, the company that created and manufactures the replicants, who is unaware that she is a replicant. While Deckard hunts them down, Priss (Darryl Hannah), one of the four remaining escapees, befriends J. F. Sebastian (William Sanderson), a Tyrell employee who suffers from Methuselah Syndrome, meaning his organs are ageing at an accelerated rate. As Priss later points out, it is a condition that unites them. Priss later introduces Sebastian to Roy Batty (Rutger Hauer), the leader of the escapees. With his shock of white hair and sensuous features, Roy resembles a fallen angel, or perhaps just a slumming one, because the more times I watch Blade Runner, the more sympathetic I feel towards these replicants. You see, what Blade Runner does is turn everything on its head, leaving us to root for the bad guys. Like all of us, all the replicants want is to live as long as possible and to be allowed to lead a life worth living. The acts of violence they commit against those who are not hunting them are not carried out with malicious intent, but because they lack the necessary self-constraint required to prevent themselves from exploding with rage when things don’t go their way. These replicants are essentially four years old, and are only just beginning to develop an appreciation of the preciousness of life. And like four years olds, they are still struggling to learn how to control their frustration and anger. They are the victims in this story, and Deckard is the bad guy. He’s a sympathetic bad guy, for sure, Harrison Ford makes sure of that. And his character is redeemed somewhat by his relationship with Rachael, the young woman who must cope with the sudden realisation that she isn’t human, and that the memories she has are those of another person. It’s just a shame that Sean Young doesn’t seem to possess the emotional range that the part calls for. It’s difficult to understand what Deckard sees in her, to be honest, and the question of just exactly who he loves is never really addressed. After all, Rachael is just a blank microchip upon which data has been imprinted, a three-dimensional photocopy of a living, breathing woman we and Deckard never get to meet. Scott’s bleak vision of the Los Angeles of the future is sumptuous. It’s the kind of cityscape you could explore for hours, and it was way ahead of its time. The darkness lends the movie a noir feel that is almost overwhelming at times, so that you find yourself wishing for just a narrow chink of sunlight. The characters don’t seem to care; they appear to live their lives in a perpetual state of ennui, with no ambition or emotion to drive them. This darkened state of life is compounded by Vangelis’s stark, atmospheric score.